The Childrenâ€™s Museum of The Upstate in South Carolina has just wrapped up its first Â Youth Capture the Colorful Cosmos (YCCC) program. The museum hadÂ the opportunity to work with two amazing schools, Penny Fisher Middle School and Sterling Middle School in introducing this engaging S.T.E.A.M. based program. Students truly took the software, and the program as a whole, to the next level by finding ways to create some very unique images. Many students took their processed images created through the Smithsonian Imaging software program and processed them even further through programs such as Microsoft Paint and Microsoft Word. This enabled the students to add text, blend multiple images and use special effects to enhance their imagesâ€¦The results were incredible! 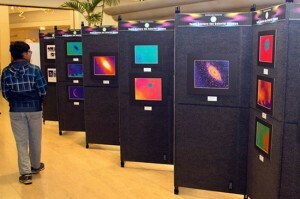 Youth Capture the Colorful Cosmos (YCCC) turns science into art. Through hands-on exercises at Smithsonian Affiliates, students learn how to control the MicroObservatory robotic telescopes over the internet and take images of the universe. This blog seriesÂ highlights moments from the workshops and student projects on display at Affiliate organizations.Â YCCC is funded by the Smithsonian Institution’s Youth Access Grants program awarded by the Office of the Assistant Secretary for Education and Access. The project is led by the Smithsonian Astrophysical Observatory, in partnership with Smithsonian Affiliations. 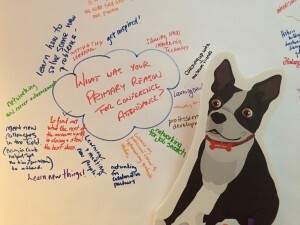 #FindingNEMA – the adorable Boston Terrier mascot for the conference. The New England Museum Association conference is one of my favorite events of the year.Â It always takes place in November â€“ when the air is crisp and Thanksgiving is right around the corner.Â What could be a better time to visit New England? This yearâ€™s conference took place in Cambridge, Massachusetts, and was the biggest to date with about 1100 participants.Â Even with that number, the conference feels intimate, and I was so delighted to run into so many Affiliate colleagues during the week.Â The theme of this yearâ€™s conference was Health and Wellness â€“ so appropriate as museums play such a critical role in the health of their communities. The keynote panel set the tone for the week.Â The panel brought together three local museum directors and two physicians, an interesting mashup that revealed all the ways that museums heal people and communities.Â They talked about museums being among the most trusted community resources, and places of respite and beauty, which is why people tend to flock to cultural institutions in times of crisis.Â The doctors for example, discussed the importance of careful looking when making a diagnosis â€“ a skill they teach in part by taking students to museums.Â What a great discussion. 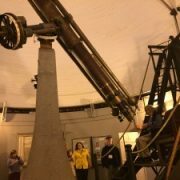 A colleague from the Abbe Museum looks through “the Great Refractor” telescope at SAO. Looking directly at the Sun.. or live images of it anyway, at SAO. A few Affiliate colleagues and I got an opportunity to hang out at an amazing research center near the hotel, the Smithsonian Astrophysical Observatory [SAO].Â There, a Smithsonian educator showed us the Great Refractor, built in 1847 and once the largest telescope in the United States.Â We all got the chance to try out the unique seat designed for looking through the telescope, an elegant 19th century solution.Â From the old to the new, we then visited SAOâ€™s state-of-the art control room for studying the Sun, and â€œsawâ€ it at several different temperature iterations in close to real time.Â It was beautiful and flaring in a way weâ€™d never seen before. Which role would you play? Learning the importance of teamwork at the USS Constitution Museum. 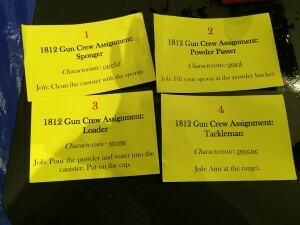 of the activities under testing asks visitors to be part of a 4-person team required to fire cannons from the USS Constitution ship, a much more difficult process than I imagined.Â With a blue tarp as the ocean and a print of an enemy ship on the other side, my team fired an â€œalka seltzer cannonâ€ and learned about the teamwork required to be successful in those conditions.Â The Museum staff is refining a body of knowledge about family learning and best practices that will ultimately and undoubtedly benefit the entire museum field. On the last day of the conference, I was honored to speak in a session with colleagues from our other New England Affiliates, Mystic Seaport and Plimoth Plantation.Â Titled, It CAN be all Fun and Games, we looked at Affiliate examples of incorporating games and physical activity into museum interpretation.Â The best part was that the directors of interpretation and education from Mystic and Plimoth brought actual games that they play on their 17th and 19th century living history sites, like skittles, Wampanoag football, stoolball, stilts, hoop games, harpoon throwing, marbles and even stilts.Â I was a little anxious that audience members might not want to â€œplayâ€ on the last day of the conference.. but I was wrong.Â It reminded me of an important lesson â€“ adults also want to play and have fun like kids do.Â Give them an opportunity â€“ at a conference or at a museum – and they will literally run with it. This game from 17th century Plimoth is harder than it seems! â€¢Â Â Â Think socially responsible or responsive programming might introduce mission creep at your museum?Â But what if your mission wandered into a place that made you more relevant to your community? â€¢Â Â Â Think itâ€™s hard to engage millennials (ages 21-40)?Â Think again.Â They are visiting cultural institutions in droves, and there are about 80 million of them in America right now.Â Donâ€™t know how?Â Itâ€™s easy.Â Ask them.Â And then empower them to create the programming they want to attend at your museum themselves.Â For a great example, check out the Portland Museum of Artâ€™s Contemporaries group. â€¢Â Â Â Do your public spaces achieve the magic power of 10?Â That is, can people find 10 things to do in your plazas, courtyards, front steps, etc.? (eat, people watch, see a performance, access wifi, meet friends, etc. )Â For ideas, check out the Peabody Essex Museum. 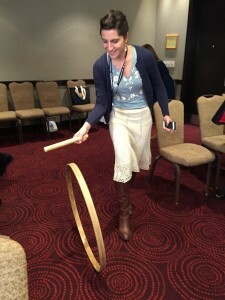 â€¢Â Â Â Attending a conference is a great opportunity for a networking game. Itâ€™s super fun when itâ€™s easy and for example, on your cell phone.Â The one we played at NEMA had us asking questions of each other like â€œhave you ever lived abroad?â€ and snapping photos for extra points.Â Thanks Museum Trek. Given the breadth, depth and richness of the conversations I attended last week, itâ€™s abundantly clear that the museum community in New England is very healthy, and helping to make their communities amazing places to live.Â A big thanks to the small but mighty staff at the New England Museum Association for bringing us together and expertly facilitating such enriching dialogue.Â And Happy Thanksgiving to all! The Cerritos Library was pleased to have been chosen to participate in the Youth Capture the Colorful Cosmos (YCCC) program. The incredible resources offered by the Smithsonian Institution allowed us to give local students a unique learning opportunity that combined science, art and creative fun. 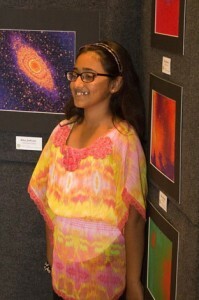 Rhea Jethvani proudly poses with her fabulous astrophotography artwork in the Cerritos Library’s Youth Capture the Colorful Cosmos exhibit. 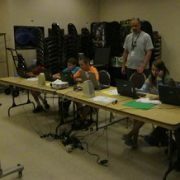 We offered the program to two age groups: students ages 11 to 14 and 15 to 18. 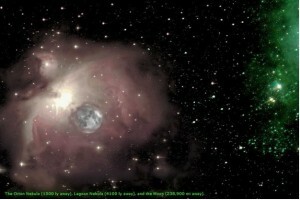 The students were thrilled to be able to request images from the telescopes. One boy said he took the class because heâ€™s fascinated by astronomy and hopes to pursue a career in astrophysics. A teen girl said she was drawn to the YCCC class by her love of photography. She created exceptional imagery and added some poetry to her work. In addition to students using the telescopes remotely and creating their own piece of cosmic art, the lighting specialist from the Cerritos Center for the Performing Arts presented a live theatrical lighting demonstration. Students were able to use the light mixing board and create their own hues. Since our workshop included two sessions, we taught the students how to make their own simple spectroscopes and they examined different light sources. 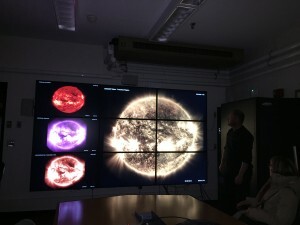 They also requested images of the sun and then used our telescope with a solar filter to view the sun. 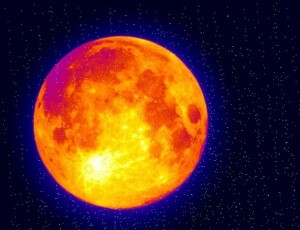 They were able to compare what they saw with through the telescope with the images taken by the micro-observatory. Each student created several images and many were printed for an exhibit in the Cerritos Library. All participants were invited to a reception with the Cerritos City Council and had the opportunity to see their printed images on display at the library. The exhibit has been very well received and we have had several patrons ask about the program. Interestingly, many patrons have asked if a YCCC program for would be offered for adults. 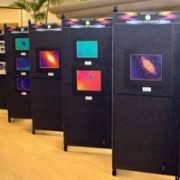 Saahil Iyer admires the astrophotography artwork created by his fellow students in the Cerritos Library’s Youth Capture the Colorful Cosmos program. Saahil said he took the class as he’s fascinated by astronomy. 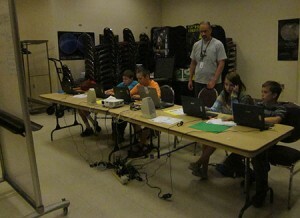 We had 19 students sign up for the 11 to 14 age group with 10 that completed the two-day workshop. The program for students ages 15 to 18 years attracted only two participants. We reached out to surrounding high schools and to our own student volunteers in addition to publicizing the program through the Cityâ€™s newsletter, cable television channel, library website, e-poster, print poster and flyer. Two of our teen participants said they felt that the time of year was difficult for students to participate in extracurricular activities. There was an SAT coming up and students were starting to work on college applications. Overall the communityâ€™s response to YCCC has been extremely positive. 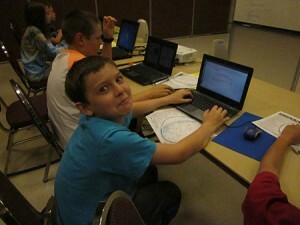 The students greatly enjoyed the workshops and parents said they were glad their children had this learning experience. We are grateful to the Smithsonian Institution for supporting YCCC and look forward to presenting the program in an expanded, week-long summer camp in 2015. 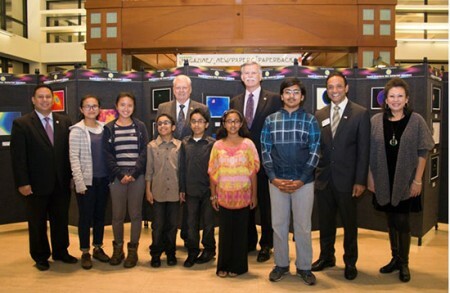 A reception for the Cerritos Library’s Youth Capture the Colorful Cosmos astrophotography exhibit was enjoyed by participating students and City of Cerritos officials. Pictured from the left are Mayor Mark E. Pulido, Olivia Zhang, Millie Zhang, Aman Siddiqui, Azan Siddiqui, Rhea Jethvani, Councilmember Bruce W. Barrows, Saahil Iyer, Planning Commissioner Naresh Solanki and Mayor Pro Tem Carol K. Chen. 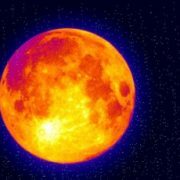 Special thanks to Jim Greenhouse, Space Science Director at the New Mexico Museum of Natural History & Science (Albuquerque), for this guest post. 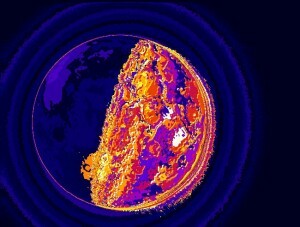 The Youth Capture the Colorful Cosmos (YCCC) program turns science into art. 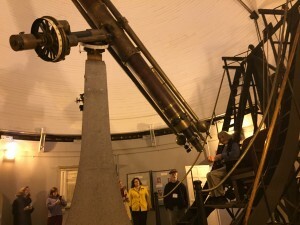 Through hands-on exercises at Smithsonian Affiliates, students learn how to control the MicroObservatory robotic telescopes over the internet and take images of the universe. New Mexico Museum of Natural History and Science kicks off our blog seriesÂ highlighting moments from the workshops and student projects on display at Affiliate organizations. The New Mexico Museum of Natural History & Science in Albuquerque used the MicroObservatory program during a summer camp class called Planetarium Producers, offered June 9-13, 2014.Â The camp was designed for children entering grades 7-9.Â If the parents of a child who wanted to participate were unable to pay tuition, a scholarship program was available.Â Each participant had one week to acquire images, process them, and use them in a planetarium program presented at the end of the camp. Each child selected a constellation to focus on, and the only restriction was that it had to be one in which a MiroObservatory object was currently visible. Â On the first day of class, the children watched the instructional videos on the MicoObservatory website.Â A portion of each video was shown, then the kids were given time to perfect that skill before moving on.Â Each child processed the images in any way they wished to highlight whatever scientific fact they included in their programs.Â Besides describing the celestial objects they imaged, the camp class members showed how to find their constellations, talked about their mythology, and highlighted any other interesting facts in their region of the sky.Â The childrenâ€™s family members and friends, along with some of the museum staff, attended the planetarium program.Â Similar programs will probably be offered for summer and holiday camps in the future. The museum is also in the process of putting together a web page featuring the images produced by the camp participants and a link so that site visitors can order their own MicoObservatory images.Â The page will launch by the end of November. In 2012, I was working at the Museum of York County in Rock Hill, SC.Â At that location, Education Coordinator James Wells partnered with a local middle school.Â We visited their computer lab several times and the result was an exhibit displayed in the museum.Â The students wrote poems that also incorporated a scientific fact about the objects in each image.Â The projects were printed on Sintra board by a local printing company.Â In addition to inviting all of their family to a reception at the opening of their exhibition, the kids had a field trip to the museum that included a planetarium show and Skype chat with the astronomers at the Harvardâ€“Smithsonian Center for Astrophysics. YCCC is funded by the Smithsonian Institution’s Youth Access Grants program awarded by the Office of the Assistant Secretary for Education and Access. The project is led by the Smithsonian Astrophysical Observatory, in partnership with Smithsonian Affiliations. 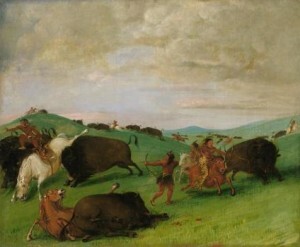 George Catlin, Buffalo Chase, Bulls Making Battle with Men and Horses. 1832-1833, oil on canvas, Smithsonian American Art Museum, Gift of Mrs. Joseph Harrison, Jr. 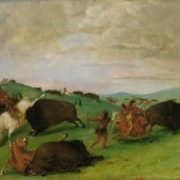 The Mennello Museum of American Art is wrapping up its 15th-anniversary year with two exhibitions that opened Oct. 3â€¦The two new exhibitions are “George Catlinâ€™s American Buffalo,” on loan from the Smithsonian American Art Museum, and “The Taos Society of Artists,” an original exhibition curated by museum executive director Frank Holt. The exhibitions run through Jan. 4, 2015. 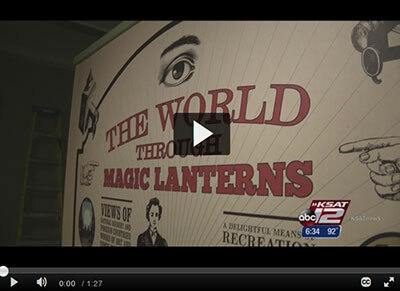 In Great Falls, the exhibit was received enthusiastically, and the museum saw an uptick in attendance. â€œWeâ€™re delighted to have this quality of an exhibition from the Smithsonian,â€ Burt said, adding that the scenes provided Native Americans with “a great opportunity” for insight into their ancestors’ lifeways and the scenery of the plains. 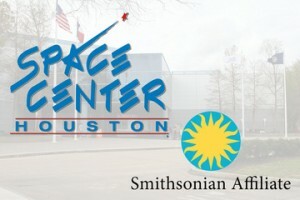 Space Center Houston is now a member of the Smithsonian’s crew. Space Center Houston, which serves as the official visitor center for NASA’s Johnson Space Center in Texas, is officially the first museum in Houston to be named a Smithsonian Affiliate. We purposely waited to become a Smithsonian Affiliate because we’re in a great transformation right now at the museum and we thought it would be the perfect way to say we’re a top-tier museum,” said Marise McDermott, Witte Museum president and CEO. Berkshire Museum Executive Director Van Shields said, while tinkering on his own Snap Circuits project, that Spark!Lab will “stimulate the kind of creativity and innovative thinking that was the beginning of the journey” of bringing the museum into the 21st century. 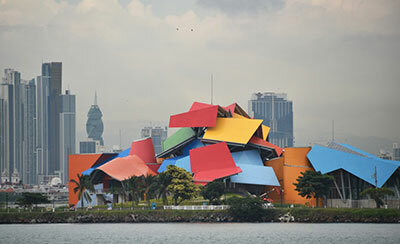 A natural history museum designed by famed architect Frank Gehry opened in Panama City this week. The Biomuseo â€” a project first conceived nearly 15 years ago and hampered by all kinds of issues â€” welcomed in the public for the first time Thursday. Asian and Pacific Americans make up more than five percent of the U.S. populationâ€”more than 17 million peopleâ€”and those numbers are growing. Their ancestral roots represent more than 50 percent of the world, extending from East Asia to Southeast Asia, and from South Asia to the Pacific Islands and Polynesia. In commemoration of this important history, â€œI Want the Wide American Earth: An Asian Pacific American Storyâ€ opened at the Idaho Museum of Natural History (IMNH), on September 20 and will run through November 30. â€œI Want the Wide American Earthâ€ was created by the Smithsonian Asian Pacific American Center and the Smithsonian Institution Traveling Exhibition Service (SITES). The exhibition is supported by a grant from the W.K. Kellogg Foundation. “It’s pretty exciting because we are a Smithsonian-affiliated museum…and we only get it for ten weeks so it’s here before it heads-off to California, so unless you are planning on traveling to California, you won’t get to see it,” Tews said. Offering the Smithsonian Affiliate Membership is a great way to connect the Smithsonian and your local audience. This year, Affiliates and the Smithsonian have worked together to develop the Smithsonian Affiliate Membership Toolbox. The Toolbox is a marketing package chock- full of Smithsonian resources and actionable ideas to make the connection between the Smithsonian and members. In September, Smithsonian Affiliations launched the first annual Smithsonian Membership Drive and delivered the Toolbox to Affiliates. 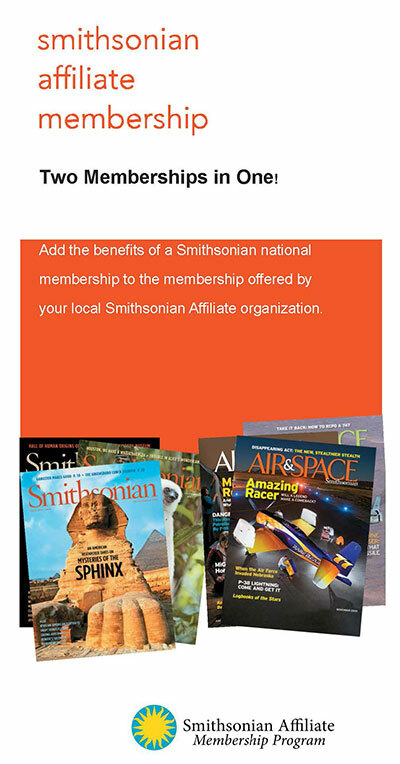 Offering a Smithsonian Affiliate Membership as part of your organizational membership program is an exclusive benefit of a Smithsonian affiliation. Are you one of the 100+ Affiliates attracting and renewing local members annually with the inclusion of the Smithsonian Affiliate membership in your museumâ€™s membership package? Share the full list of Smithsonian Affiliate membership benefits with your audience. Affiliates are the Smithsonianâ€™s regional ambassadors across the country â€“ the Smithsonian looks to your organization to steward, engage, and renew joint Smithsonian â€“ Affiliate members annually. Coordinate your Smithsonian programs and events with a Smithsonian Affiliate membership to bring added value to your membership package and build ongoing support. Your members may not make it to Washington, D.C., but can experience the Smithsonian at your organization. Joint benefits and programming make the link between the Smithsonian and your members. Extend national benefits to your members who enjoy local benefits at your affiliated museum. Want more information? Contact Christina DiMeglio Lopez, External Affairs Manager.